‘Sea Life: Glimpses of the Wonderful‘ is the Royal Albert Memorial Museum & Art Gallery’s (RAMM) 2017 summer exhibition. It takes inspiration from the works of PH Gosse. Gosse was a Victorian naturalist who lived near Torquay and spent his time exploring the coast. He wrote many popular books and RAMM is fortunate to have over 100 of his original artworks. 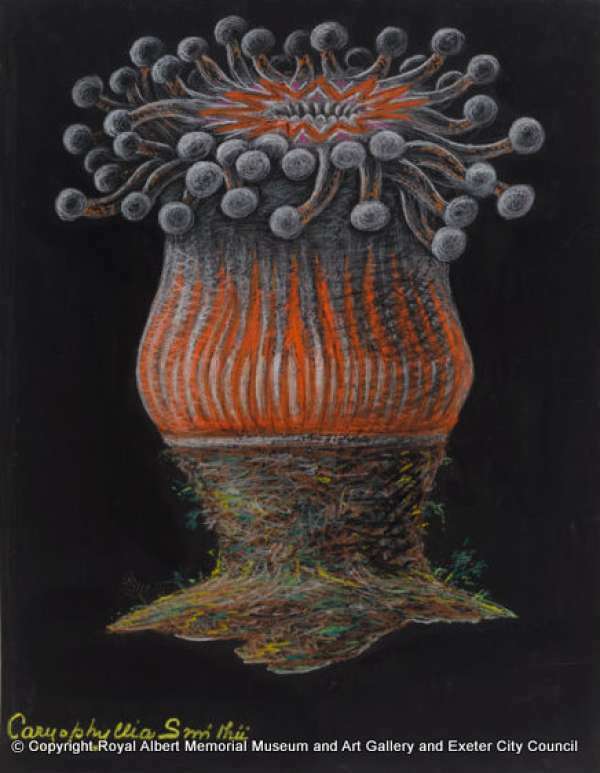 Devonshire cup coral. Teaching aid drawn in coloured chalk by PH Gosse. (Image courtesy of Royal Albert Memorial Museum and Art Gallery). Gosse is well known for his interest in aquariums. He invented the word aquarium and was among the first to keep animals alive successfully. In 1856 he published a book; ‘The aquarium: an unveiling of the wonders of the deep sea’, and was also partly responsible for the aquarium craze that gripped Victorian England. Gosse and his contemporaries learnt to keep marine animals in glass tanks that required very little maintenance. They experimented until they achieved the right mix of plants and animals needed to maintain stable conditions. Today, we rely on electric canister filters and air pumps. We wanted to keep British marine animals so we needed a large chiller as well. Even with this kit it’s hard to reach the correct conditions. 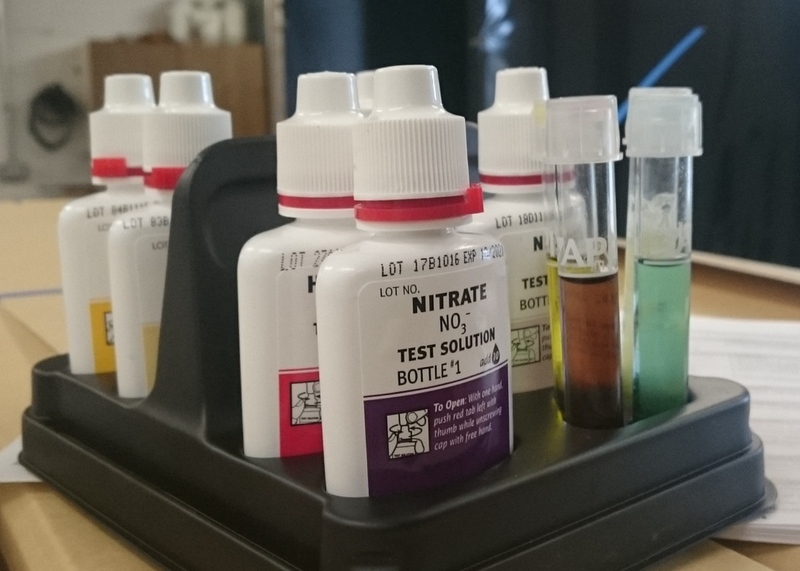 Nervously checking the water chemistry. (Image courtesy of Royal Albert Memorial Museum and Art Gallery). #2: Shore crabs do spiral poo. Who knew?! #3: RIP Larry. Your death was not in vain. You crab with a line off your local sea wall and the crabs arrive by the dozen, attracted by whatever bait you have to hand. Squid, bacon, sand eels or even your left over lunch, they will take it all. 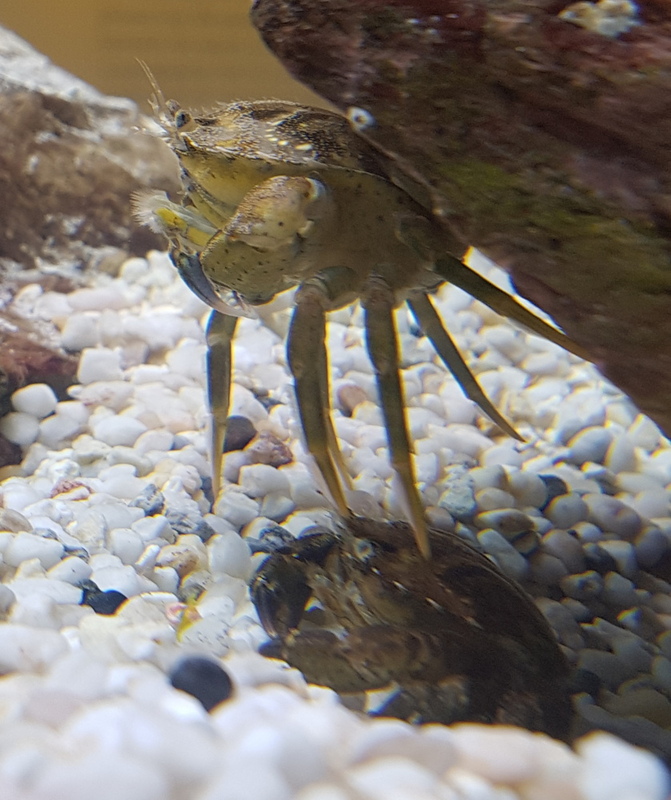 So to our surprise once they were in the tank our shore crabs were fussy eaters. They refused anything we offered. Hungry and grumpy they decided to show us what they wanted. Larry the Limpet was being munched. The crabs now consider frozen mussels acceptable. RIP Larry. (Image courtesy of Royal Albert Memorial Museum and Art Gallery). #4: Yes a crab did escape and spend the night on the run. #5: Monday mornings hold a new sense of dread. Keeping any animal in captivity is a constant worry. 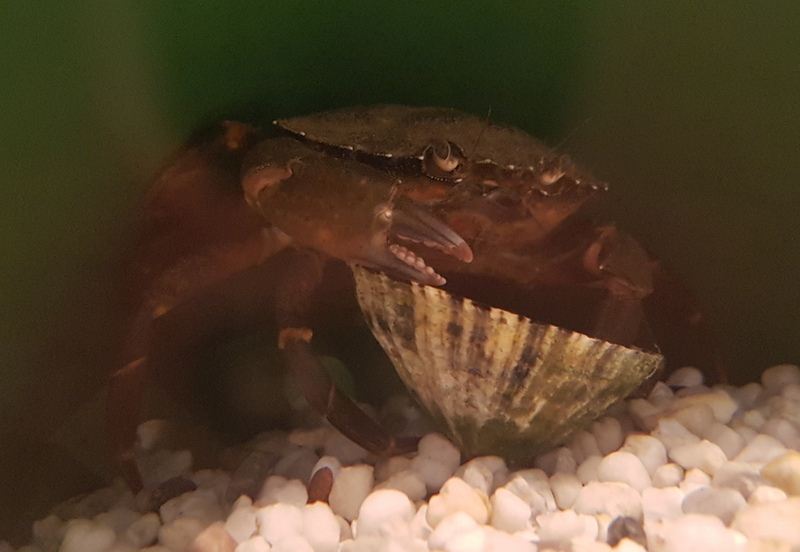 Did my favourite hermit crab survive the night? What happened over the weekend? And then there are the phone calls from Front of House asking ‘is it meant to look like that?’, when the sea anemones are going through their waste expulsion cycle and are a shrivelled mess for a few hours. 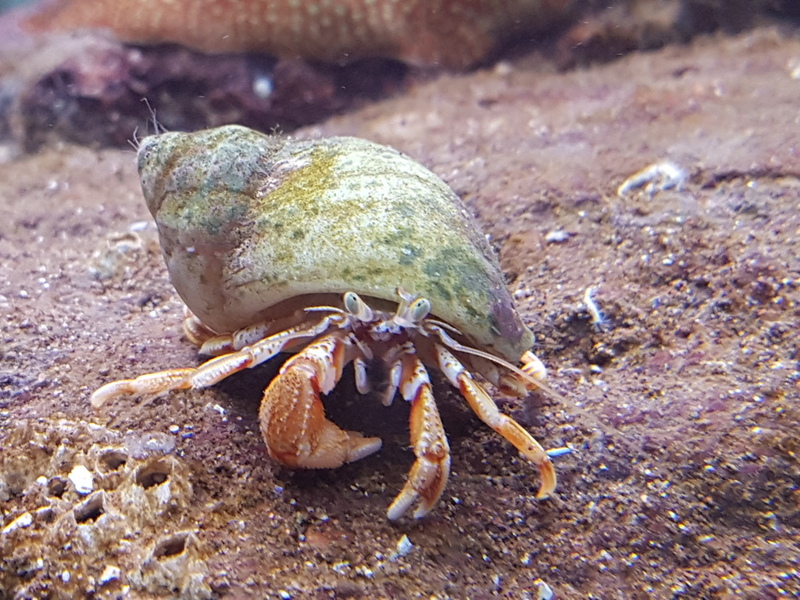 Hermit crab. (Image courtesy of Royal Albert Memorial Museum and Art Gallery). I understand why the Victorians did this. My marine biology degree only taught me a little of the wonders of our coast. Before having an aquarium I’d never watched a sea urchin move on its tiny tube feet or seen a crab moult its skin or clean itself. I keep having to remind myself to go back to my desk and work. Moulting crab. (Image courtesy of Royal Albert Memorial Museum and Art Gallery). Always have expert help. We went on a course run by the Marine Biological Association and their advice and support has been invaluable – a huge thank you! Involve the rest of the museum. We couldn’t do this without colleagues to feed the creatures at the weekends, to remember to turn the lights off at the end of the day and to help us lift and shift. Water is heavy. Even with plenty of technology we still need to change the water every couple of weeks to keep nitrogen levels low. Carrying 25 l drums of seawater (weighing ~25 kg each) up from the sea is exhausting. Check the weight limit on your van and your gallery floor. 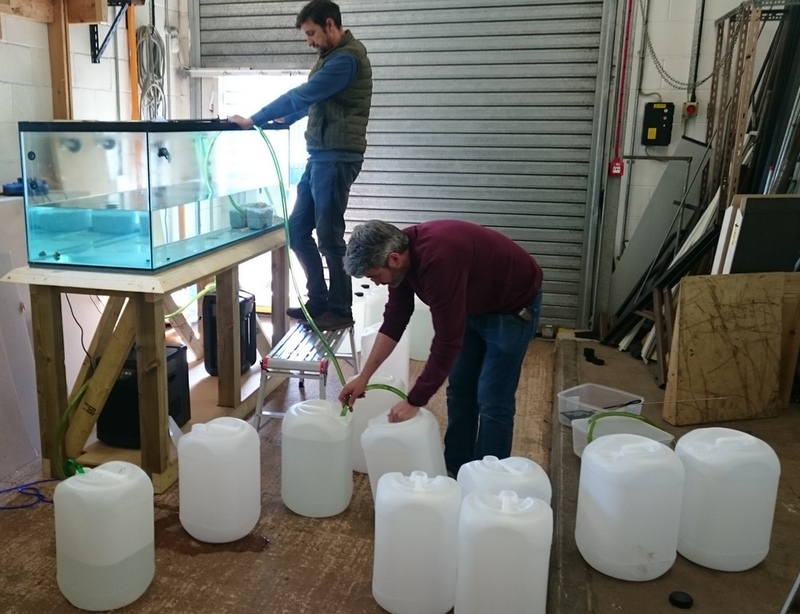 Technical staff emptying the aquarium before installation in the gallery. (Image courtesy of Royal Albert Memorial Museum and Art Gallery). Make sure you have the time. It’s fantastic fun but the welfare of the animals must come first. Written by Holly Morgenroth, Collections Officer, Royal Albert Memorial Museum and Art Gallery, and NatSCA Committee Member.